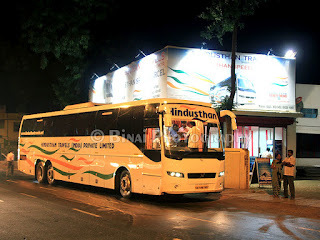 Another trip on Kallada G4: Bangalore to Thrissur again! Another trip on the drawing board – this was, as usual, an unexpected trip. This was an addition trip – earlier than by planned trip (Just like it happened in August). 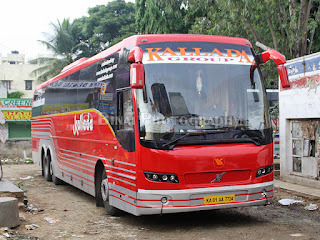 This time, I decided to book on Kallada G4 (co-incidentally, my first trip in August was also by Kallada G4). I contacted a known person in G4 – but got a cold response. He gave me another number to call – Kallada G4’s office in Kalasipalya. They quickly blocked a seat, and gave me a seat number. I had to pay only at my chosen boarding point (Madiwala). Given the cold response I got for the outward trip, I was seriously not interested in calling him again for my return journey. I decided to try out another operator this time for the return (details would come in a separate post).